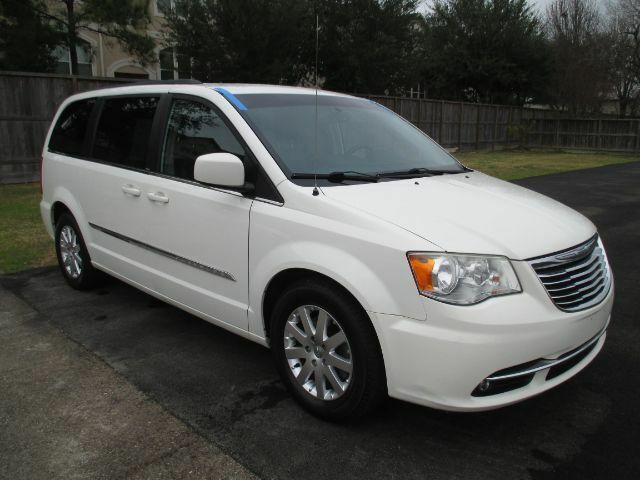 Our 2013 Chrysler Town and Country Touring Minivan shown in Stone White Clear Coat offers amazing luxuries for your family. Motivated by a Pentastar 3.6 Liter V6 that produces an incredible 283hp while connected to a smooth shifting 6 Speed Automatic transmission for easy passing. This Front Wheel Drive combination rewards its owners with over 25mpg on the open road making it an ideal for a family road trip. Town and Country share a number of amazing standard features like tri-zone temperature controls, sunscreen glass, and upgraded sound system with Uconnect touchscreen media center. The interior is surrounded by soft-touch materials, plush leather seating, our famous stow-n-go seating, an overhead DVD screen, and power sliding doors. If you want an adaptable, practical, and luxurious minivan with innovative options you have chosen the right machine. Our Touring is refined, versatile, and functional. Chrysler has much to offer in the way of safety including seven airbags and a host of other standard safety conveniences you once only dreamed of. Our Town and Country is the ultimate family vessel and this one is waiting for you. Print this page and call us Now... We Know You Will Enjoy Your Test Drive Towards Ownership!